We’d love your help. 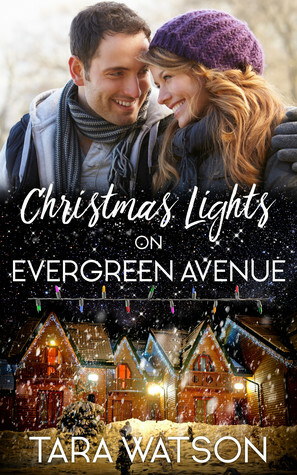 Let us know what’s wrong with this preview of Christmas Lights on Evergreen Avenue by Tara Watson. In the Christmas-loving town of Harmony, electrician Winnie Anderson is determined to win the annual Christmas lights competition. With $10,000 prize money on the line, it's Winnie's ticket to saving her beloved father's house. If she doesn't win, she'll lose the house, and have to move out of Harmony for good. Winnie is sure she's the best woman to win. There's only one pr In the Christmas-loving town of Harmony, electrician Winnie Anderson is determined to win the annual Christmas lights competition. With $10,000 prize money on the line, it's Winnie's ticket to saving her beloved father's house. If she doesn't win, she'll lose the house, and have to move out of Harmony for good. Winnie is sure she's the best woman to win. There's only one problem: Dan Parker, rival electrician. All Dan wants is a place to call home, and after moving to town three years ago, he knows Harmony is everything he dreamed. He's always hoped Winnie would be a part of his future, since she's the only woman who has ever caught his eye. But first he must get past the strange tension between them. When Winnie breaks her leg, Dan surprises her by stepping up to help complete the display. As they grow closer, Winnie begins to realize Dan isn't the man she'd always believed. But with both her career as an electrician and her father's house hanging in the balance, has her revelation come too late? To ask other readers questions about Christmas Lights on Evergreen Avenue, please sign up. This book truly does read like a Hallmark movie--a broken girl, a competition (even if it's only one-sided), and a blossoming romance in a small town. Winnie and Dan are both electricians and there doesn't seem to be enough room for both of them. Winnie is very stubborn and headstrong, especially when it comes to her pride, which is understandable, but she almost takes it too far. Her inability to confide in others and the way she assumes so much is infuriating. Dan is hardworking and kind and c This book truly does read like a Hallmark movie--a broken girl, a competition (even if it's only one-sided), and a blossoming romance in a small town. Winnie and Dan are both electricians and there doesn't seem to be enough room for both of them. Winnie is very stubborn and headstrong, especially when it comes to her pride, which is understandable, but she almost takes it too far. Her inability to confide in others and the way she assumes so much is infuriating. Dan is hardworking and kind and can't seem to get Winnie out of his mind. Lucky for her, he's one very persistent man. I enjoyed the hustle and bustle in getting the town, Harmony (especially Winnie's street), Evergreen Avenue, ready for the Christmas lights celebration. I loved watching her learn to lean on others, as she is alone in the world, and I loved the friendships and connections she has with a handful of people who surround her. Small towns are really the central part of Christmas stories because they inspire feelings of home, love, and tradition, which is why Dan moved here from the city. This heartwarming tale of hope is all wrapped up with a pretty bow and delivers a sweet holiday punch of love to the heart. If there’s one Christmas book you read this holiday season, then I would say make it this one! It’s a beautifully written story full of heartache and love! Dan moves to a small town call Harmony and loves it so much, he never plans to leave! He is a construction electrician but when there is no work sets up in competition with Anderson Electrical! Winnie has lived in Harmony her whole life, as had her father, and his father! She trained as an electrician and helped her dad run the company. After If there’s one Christmas book you read this holiday season, then I would say make it this one! It’s a beautifully written story full of heartache and love! After her fathers death, Winnie withdraw into herself, and as Christmas was coming round, she realised that things were going from bad to worse for her. She had an accident, and then gave up! I mean, what did she have left? She was devastated and decided there was only one solution left to her, which she didn’t want to do, but had no choice! Dan didn’t know what was wrong with Winnie, he thought they were friends, and then after she withdrew into her self he rarely saw here. After her accident he decided to help her with her Christmas display, after all she was in no position to say no! When the truth finally came out, Dan was sad and upset, but knew that he could make things right, as did her neighbour and best friend! What transpires is the gift of a small town giving back and looking after one of their own! I have never read a hallmark movie as a book but if I did I would imagine it would read like this book. It's well written and is perfect for this time of year. The story of Winnie and Dan goes from friends to not friends and then to more than friends. With lots of Christmas referencing like the lights competition, this is a truly lovely book to read. I received this book for free from the Author in exchange for an honest review. This does not affect my opinion of the book or the content of my review. Will Winnie win the lights competition to save her family home and business? Christmas Lights on Evergreen Avenue by Tara Watson is a great debut novel. It’s a cute romantic book. In this book, we have two electricians as our couple. The electricians are Winnie Anderson and Dan Parker; they are two fascinating people. The main fe I received this book for free from the Author in exchange for an honest review. This does not affect my opinion of the book or the content of my review. Will Winnie win the lights competition to save her family home and business? The main female character is Winnie Anderson. She is the daughter of an electrician that died eight months ago and has left her with the business and the family home. Winnie is a pretty complicated character and projects her feeling on to others. She has lived in the small town of Harmony her whole life and can’t think of anywhere else she wants to be even though she might have to move. What I like about Winnie is that she knows what she wants. She is working in a field that not many females. Another thing that I like about her is that despite being a tomboy, she can look like a girly girl as well. What I dislike about Winnie is that she has a lot of pride. She doesn’t want anyone to know about her problems. The last thing that I don’t like about Winnie is that she is blaming Dan instead of talking to the townspeople. The main male character is Dan Parker is the other electrician in the small town of Harmony. Dan moved to Harmony three years ago to start to build a new life. Now that his business is doing good so is he. What I like about Dan is that he is practically an open book, but he didn’t realize what he was doing. Although, some of this is because Winnie didn’t tell anyone that she was hurting and made people think that she was doing fine. Another thing that I like about Dan is that he still tries to help Winnie when she pulls away. He gets whiplash dealing with her emotions. I don’t think there is anything that I don’t like about him. Well, that he didn’t realize he was taking Winnie’s clients. But that can’t be dislike or can it? I mean where did he think that all of these clients were coming from, anyway? I am giving Christmas Lights on Evergreen Avenue by Tara Watson a five-star rating because it is a terrific book. Ms. Watson did a fantastic job on weaving this story. Also, every single time I had to put it down, I was thinking about the characters and wondering what Winnie was going to do. Congratulations, Ms. Watson on this awesome debut novel. Tara Watson is an author, reader, and dog lover, as well as an avid fan of Hallmark Channel films. 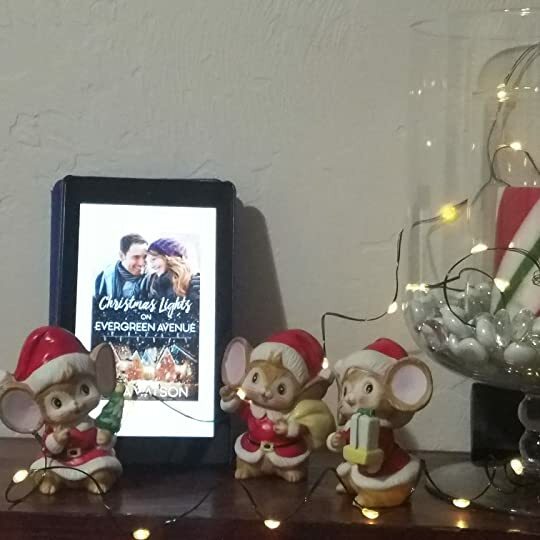 When she’s not writing sweet romances about good people falling in love, she’s usually found watching Christmas movies all year around and dreaming of the holiday season.